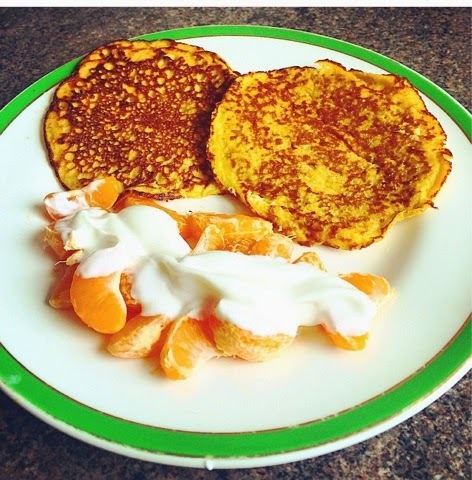 This recipe is super quick, low fat, tastes amazing and counts towards your 5 a day! 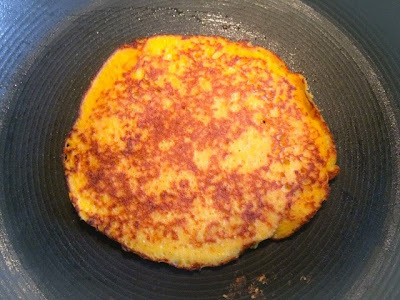 All you need is the three main ingredients, a frying pan and a blender. 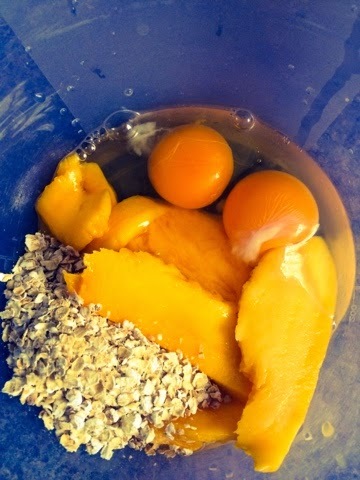 Simply blend the eggs, mango and oats together and the mixtures done. Just add the mixture to the heated frying pan and brown off. Flipping tip! 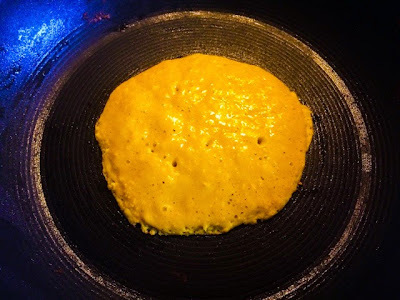 -- this recipe is more delicate than a usual pancake one. So leave to brown fully until attempting to flip. Simply enjoy by themselves or add some fruit and yogurt. Greek yogurt is particularly good with this recipe. This has become my firm favourite of all of the new exclusive products in Lush Oxford Street. This bath bomb has everything for me; a great smell, fun to watch fizz away, leaves a gorgeous colour and has some shimmer just to finish it off. Such pretty bath water! The blue reminds me of tropical waters and who doesn't want to bath in tropical waters. I adore the scent it's fresh but slightly sweet, probably stemming from the grapefruit, neroli and rose essential oils. The smells has good carrying power and stays on your skin when you leave the bath. I would hands down give this bath bomb 10/10. I think it would make a perfect present for most people as it doesn't have an over powering scent of one kind, it's zesty, fresh and slightly sweet. Plus it looks stunning in the bath and will convert any first time bath bomb users to world of great baths! For this milkshake you only need four ingredients and a blender. It’s packed full of protein and potassium so would make a perfect pre or post workout snack. Or simply if you fancy a healthy chocolate fix! · 250ml of Milk, to make the milkshake vegan use a plant based milk, coconut or soy works well. · 2 frozen bananas slice your bananas and place in the freezer the night before. · 2 tbsp of pure peanut butter (I used hazelnut butter as I'm allergic to peanuts, this works well as a replacement). · 2 tbsp of 100% cocoa powder. Simply blend all ingredients together and you will have a delicious healthy low fat chocolate and peanut butter milkshake! This recipe will give you around 500ml of milkshake. I recently went for afternoon tea in The Georgian Restaurant at Harrods for a friends birthday. It was lovely and I thoroughly enjoyed it. It cost £39.00, there are cheaper afternoon teas out there but it was excellent and you got a number of courses and a few little extras. The décor is lovely and there is a live pianist on Fridays, Saturdays and Sundays, the dress code is smart causal. You can select from a number of speciality teas, I went for the rose petal tea first and then switched to blackberry towards the end. You firstly get finger sandwiches and a gruyère cheese tart, with my personal favourite sandwich being the artichoke one. Next they provided fruit and plain scones with a selection of condiments; blackberry jam, clotted cream, lemon curd and rose jam. The rose jam was particularly good and I did try to find in the food hall downstairs but much to my dismay they had none. You then had a selection of small cakes and pastries followed by a Harrods trifle. The trifle tasted amazing I have never been a huge fan of trifle but I could eat buckets of these ones and they were presented so beautifully. Additionally because it was a friend’s birthday they gave us a complimentary brownie and fruit with a candle in. The service was flawless and everyone was extremely polite and nice. Nothing you asked was too much and you felt very welcome. I would highly recommend visiting for a special occasion or for a nice treat. The great thing about going here is that it is excellently located in the Harrods department store. Which is perfect for walking off all the cake while having a look in one of the most iconic department stores in the world. I would definitely recommend having a look in the gadget section and also the toy section, you are never too old. The food hall is definitely worth a look as well when you feel slightly less full! I try to be as healthy as possible but the two things in my lifestyle that are my biggest weakness are snacking and not eating breakfast. I never wake up feeling hungry and usually if I wake up by alarm I actually feel a bit sick, hence why I never have breakfast. Then by not having breakfast I end up snacking later on sugary quick fix foods worsening my cycle. I decided to try and have a fruit based smoothie every day for breakfast, as it is full of vitamins, minerals and gives me a great start as I often got 4 plus of my 5 a day before lunch! All of the smoothies I made over this week will give around 500-800ml. I started making larger ones towards the end of the week so I could keep half in the fridge for when I got back from work, as a healthy snack. All these smoothies will require a blender, simply blend the ingredients for each day and you will have a delicious smoothie! So I did it! I had breakfast every day for the entire week and often got 4-7 of my 5 a day just from the smoothies! I also had enough of the smoothie to leave some in the fridge for when I got back from work preventing me turning to the chocolate! Some of the smoothies didn’t turn out the most appetising colours I have to admit, but they all tasted amazing and I would definitely recommend trying this 1 week challenge to inject some more fruit and veg into your diet.